Self-Adhesive Film Carpet Protection film that keeps floors clean and damage free while building, remodeling or painting. This self-adhering film does not shift and is highly resistant to tears. 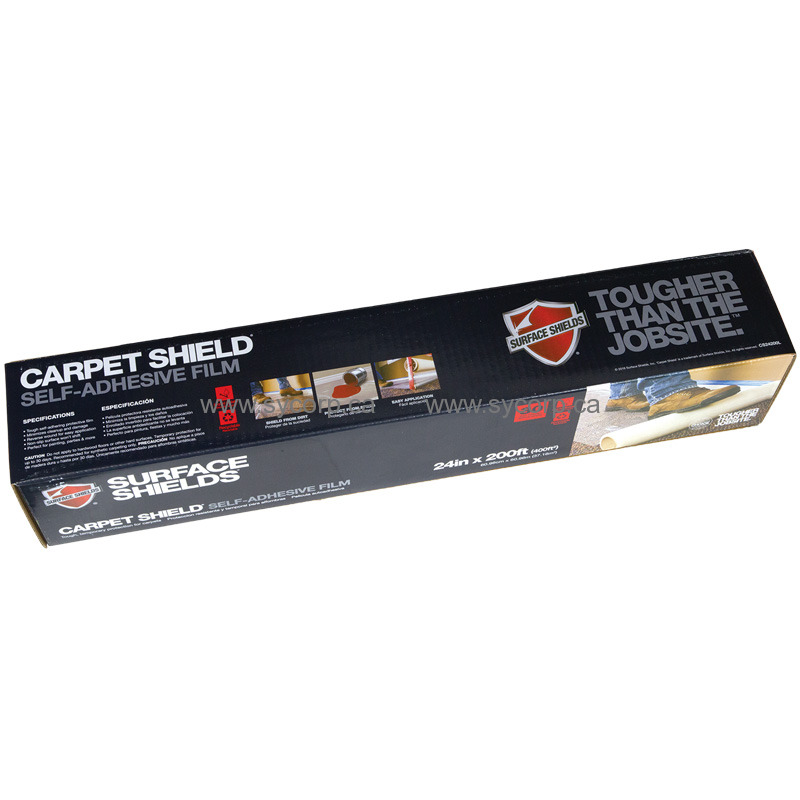 Carpet Shield is the best temporary carpet protection you can buy. 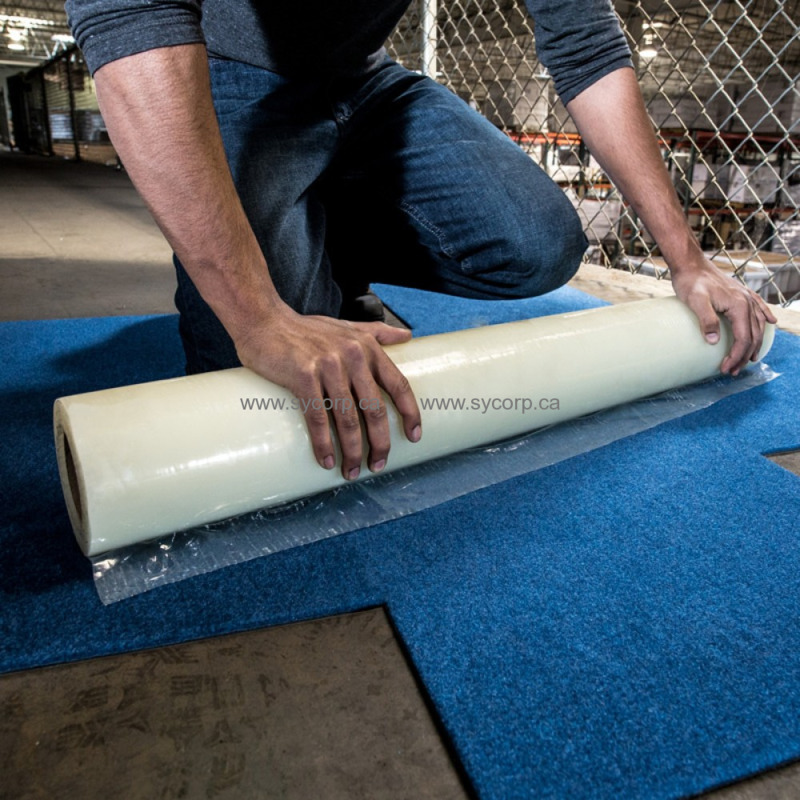 It is a clear, self-adhering protective film for carpeting. Carpet Shield's non-slip surface is a special blend of polyethylene which is highly resistant to tears or punctures. Ideal during remodeling, painting and moving, it minimizes clean-up time and damage claims. Available in a variety of sizes, the larger rolls are reverse-wound for faster application. . NOTE: not intended for hardwood or other floors surfaces.